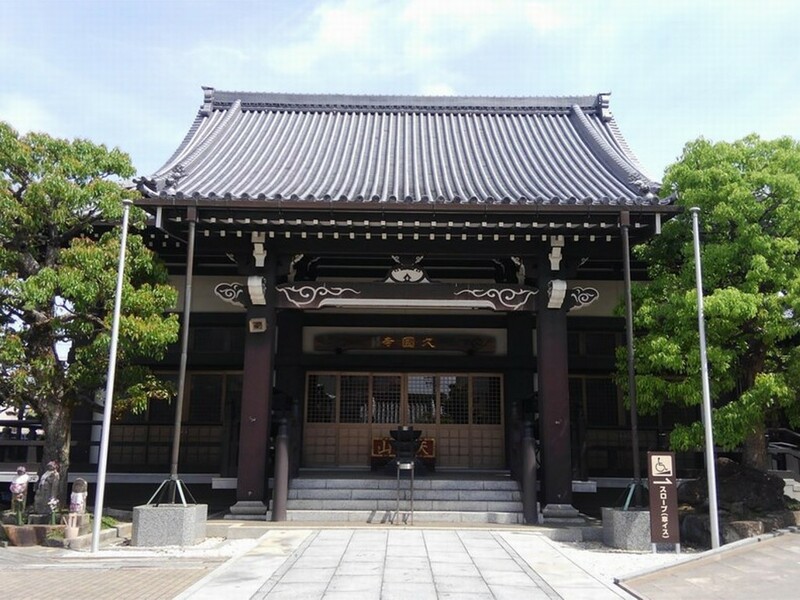 The Kyukokuji temple is located in the north of Nagoya in Aichi prefecture. 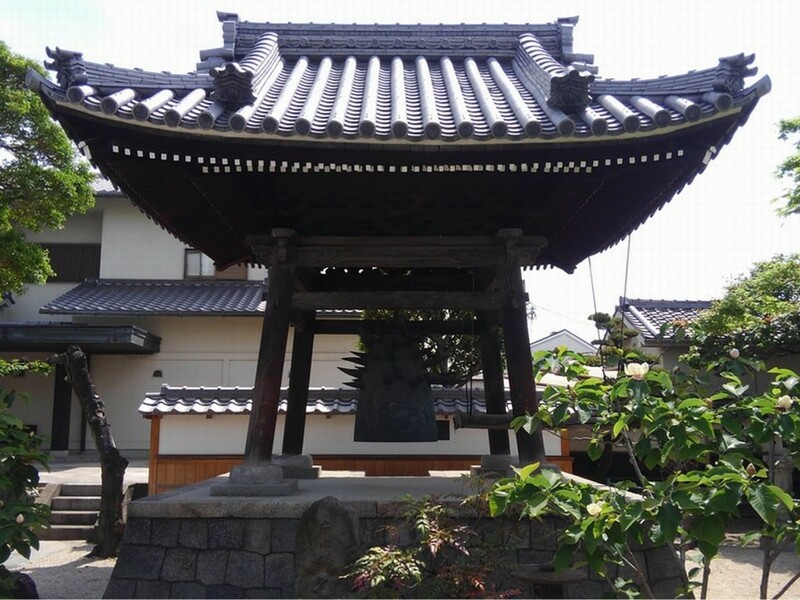 This small temple is famous for a unique iron bell which was created by the artist Taro Okamoto (1911- 1996). He often said that “The art is an explosion” and yes, you can see it in this creation. 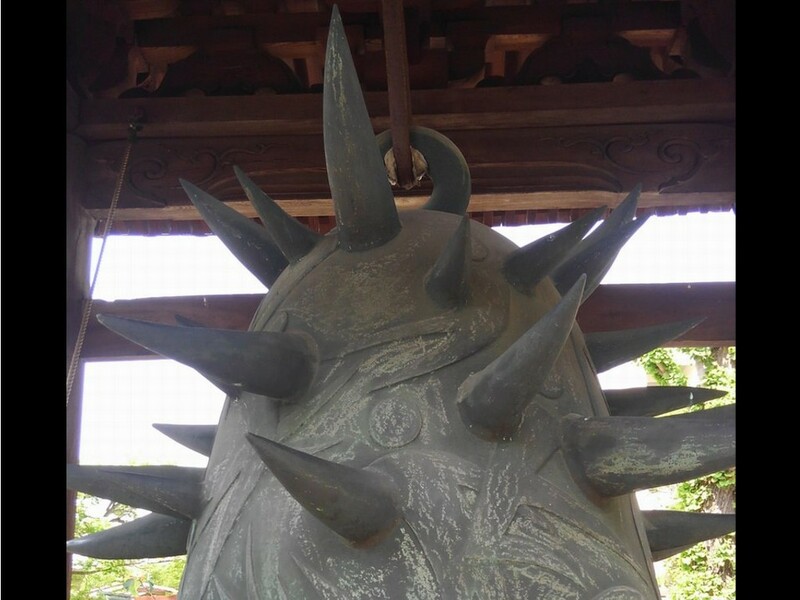 There are thousands of temples all over in Japan and most of them have a bell in their grounds but none of them except this temple has a bell that is artistic, unique, beautiful yet functional. 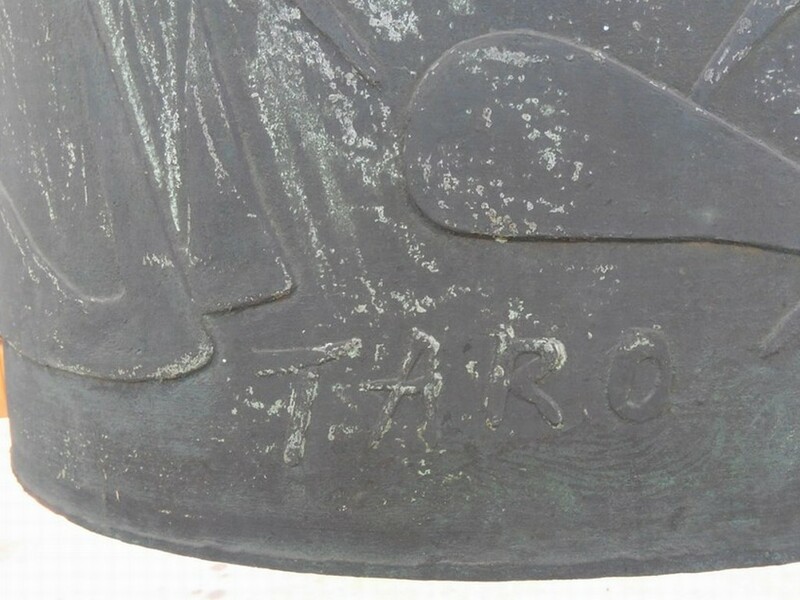 The bell was created in 1965 and named “joy”. As you can see, the bell has many pointed horns. You would never expect the traditional Japanese temple to hide such a modern piece of art in its precinct grounds. If you happened to be in Nagoya, it is well worth to visit! So I enjoyed the view from all directions and took time as much as I wanted. 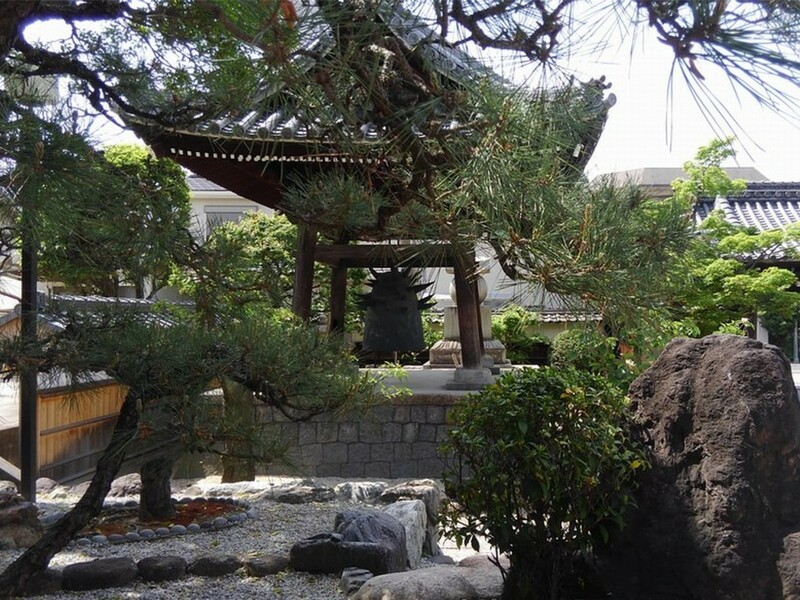 In past times, the temple bell told the time by tolling on the hour, it was also used as the traditional ceremony on New Year’s Eve. 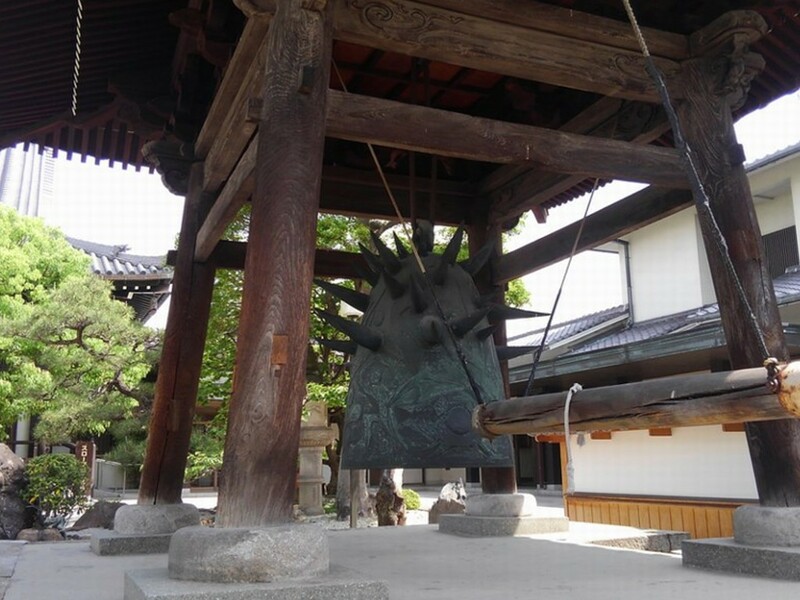 Temples toll the bells 108 times exactly and it is believed to remove unwanted negative feelings, such as anger, suspicion and obsession from people lives. The monks believe that there are 108 kinds of such feelings. I heard that you can join the event then you can toll the bell! I would love to try it sometime and hope to come back here on New Year’s Eve. The temple was established in 1662. 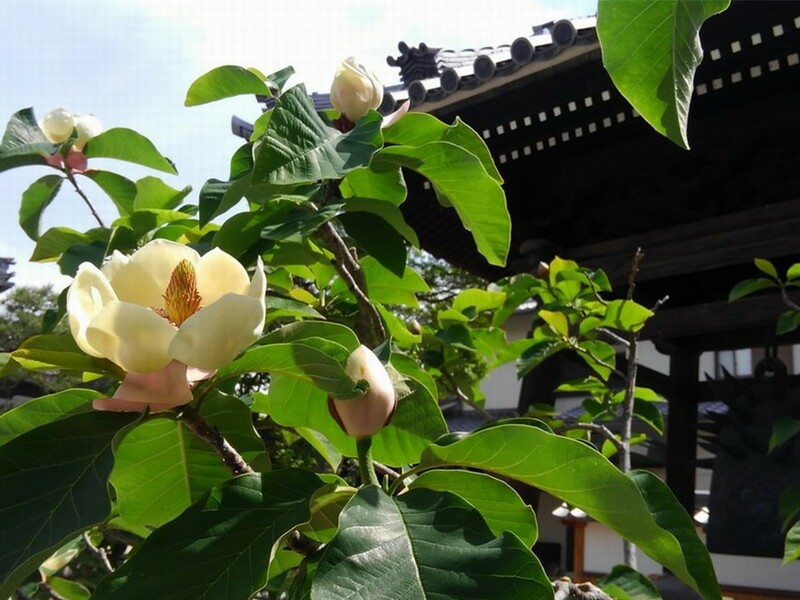 It is located north of Nagoya castle and this location is very important, in fact, it is the reason for its establishment. In Japan, direction of the north is called Kimon, literary means Evil Gate. It is believed that the evil comes from the north. So, they build the temple to protect the castle. Well, it is all superstition. But it is funny to think that the evil might try to come out nearby but won’t be able to do so because the power of the temple. 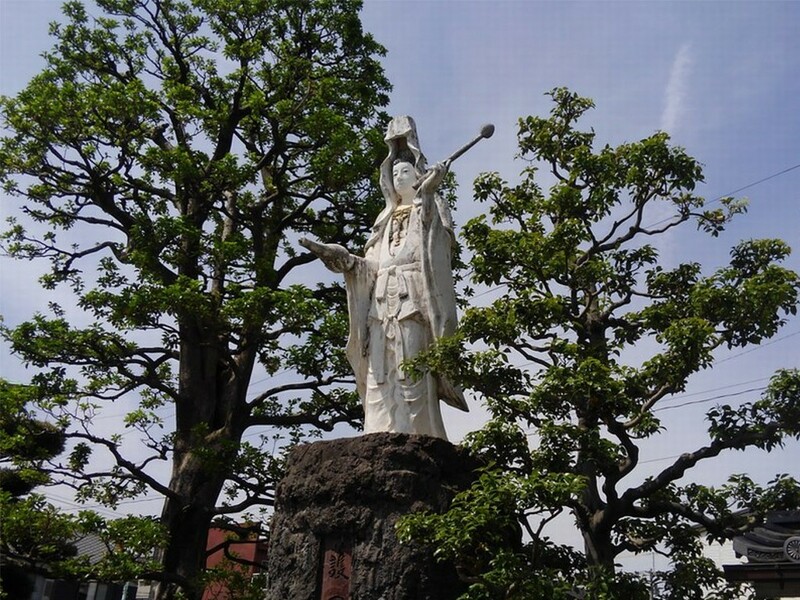 There is a statue of Kannon or Goddess of Mercy in the temple. 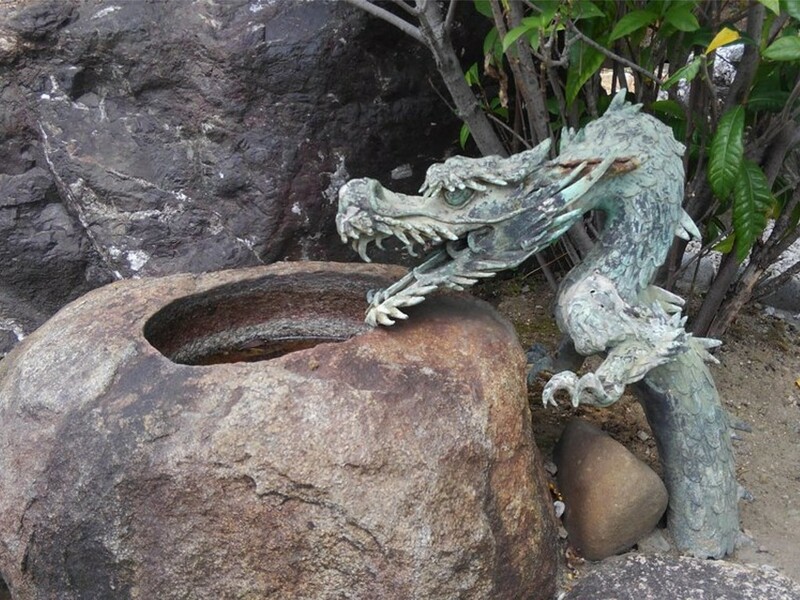 You can also enjoy a little Japanese garden with an ornament of dragon. 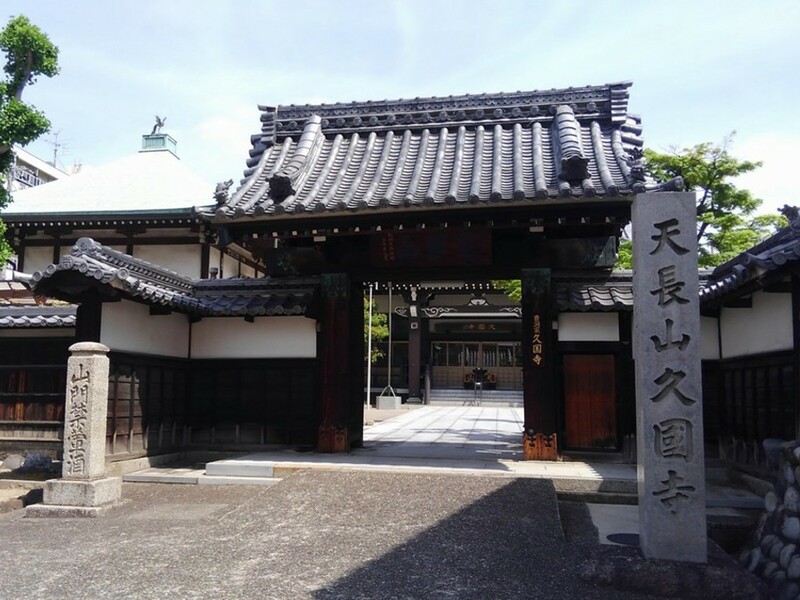 There is an another temple called Fukoji only a few minutes’ walk from Kyukokuji temple. 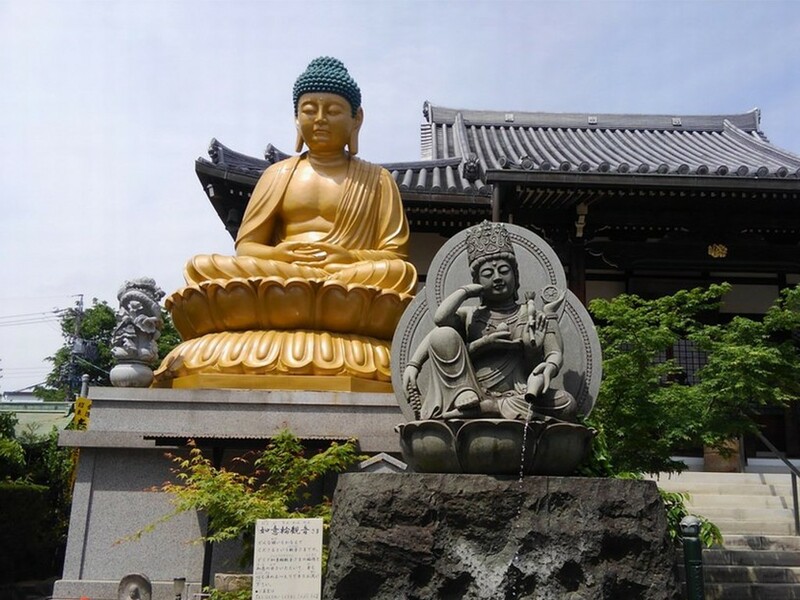 A big statue of Daibutsu or Buddha can be seen. These temples stand in residential area. There are no directional signs or any tourist bus but I enjoyed walking in the area and discovered old temples and a traditional Japanese house style café.